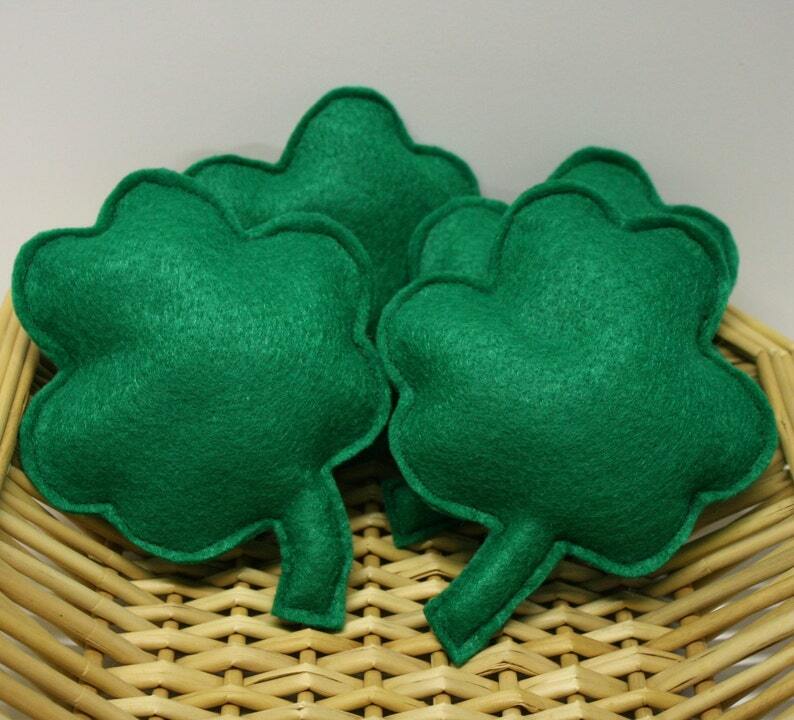 Give your kitty the luck of the Irish with this lucky clover felt catnip cat toy. This cute catnip clover is made of acrylic felt. Filled with super strong all natural catnip and 100% recycled polyester stuffing. A safer alternative to the usual St. Patty's day libations. You get 1 catnip clover. They measure 6" long by 4" wide. This is currently Max's favorite!